Mo then accused me of a campaign of ‘hate and harassment’ (a tweet he subsequently deleted when pressed for examples) and decided he would just ignore the charges against him, presumably in the hope they would go away. Well, they won’t. He’s still yet to publish a response to these serious, career ending allegations over a year later. Now, I’ll take ‘Islamophobe’. Any sensible person knows it’s a nonsense term, concocted to close down criticism of Islam, so I’m always pleased to hear I’ve earned the label. Also, I no longer have the desire to have Ansar lower the quality of my Podcast. Racism however, is an incredibly serious allegation. Especially confusing given I’ve spent a considerable amount of my time exposing and condemning anti-Muslim bigotry of a racist flavour. 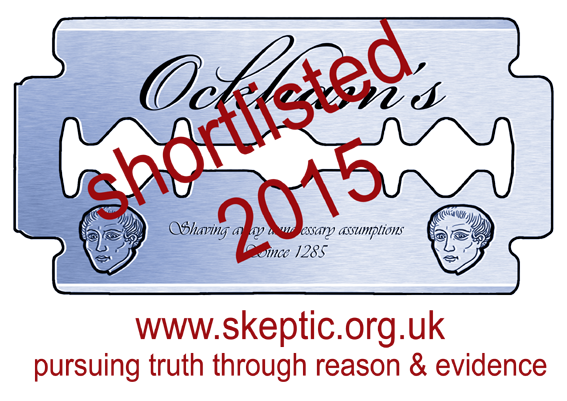 Ansar has once again been asked to provide evidence to back up his (latest) libel against me. I know to a moral certainty he will be unable to do so – and worse, won’t even care to try. 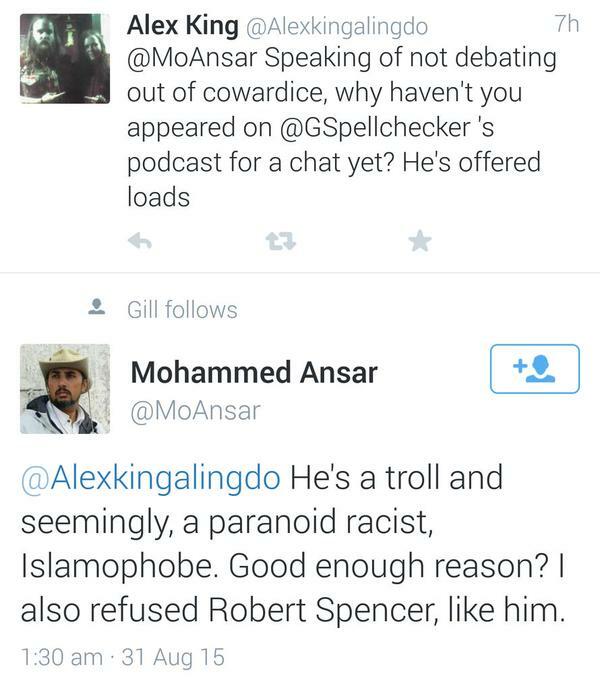 Anyhow, Mo Ansar isn’t important. His influence and prominence died with his credibility in May 2014. This will just serve as another example in a long list of lies to point out to people who may make the mistake of offering him a platform in the future. No platform? But ann fields is minting it on the genetics conference guest speaker circuit.